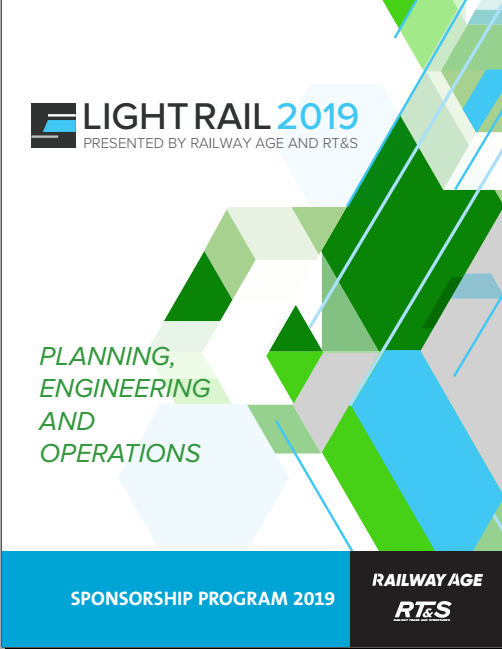 Join Railway Age and RT&S at a premier event—Light Rail 2019, our fourth annual conference on light rail transit. LRT, the fastest-growing passenger rail mode, employs a full range of technologies and operating practices. Light Rail 2019, developed for transportation professionals in planning, operations, civil engineering, signaling and vehicle engineering—as well as students at the undergraduate and graduate level—will offer a comprehensive review of the specialized technical and operational issues associated with light and interurban railways. It will also examine the relationship between transportation and economic development in a modern urban environment. Professional Engineers: PDHs will be awarded to attendees (approximately 8 PDHs for attending all conference sessions). Project Manager, Railroad Development Corp.
Light Rail 2019 takes place at Le Méridien Delfina Santa Monica. Our room block has ended. To reserve a room, call 888.627.8532 and mention Light Rail 2019. Contact Jonathan Chalon at 212.620.7224, [email protected] for details. Contact us at 212.620.7205, [email protected]. Ida Posner, Project Manager, Railroad Development Corp.
Mark Wood, General Manager Communications-Electronics, 4Tel Pty. Ltd.
Christoph Hausberger, Sales Engineer, MAC Products Inc. This tour will allow participants to observe Metro’s newest Light Rail Line – the Metro Exposition Line. Participants will be joined by Director, RFS Ed McAuley and Director, Rail Operations Michael Moore who will provide an overview of the Expo light rail maintenance yard, transportation and control area. The tour will begin with a short ride from the Downtown Santa Monica Expo Line Station into the Expo Light Rail Yard and then bring participants back to Downtown Santa Monica Station where they can choose to take the Expo Line further into Downtown Los Angeles or head back to the conference hotel. Join Railway Age and Railway Track & Structures at this premier event—Light Rail 2019. Developed for transportation professionals in planning, operations, civil engineering, signaling and vehicle engineering—as well as students at the undergraduate and graduate level—Light Rail 2019 will offer a comprehensive review of the specialized technical and operational issues associated with light and interurban railways. It will also examine the relationship between transportation and economic development in a modern urban environment. Sponsor or exhibit at this event and network face-to-face with industry decision-makers: the executives with purchasing power. Platinum, Gold, and custom sponsorships are available. A limited number of exhibit spaces are also available.